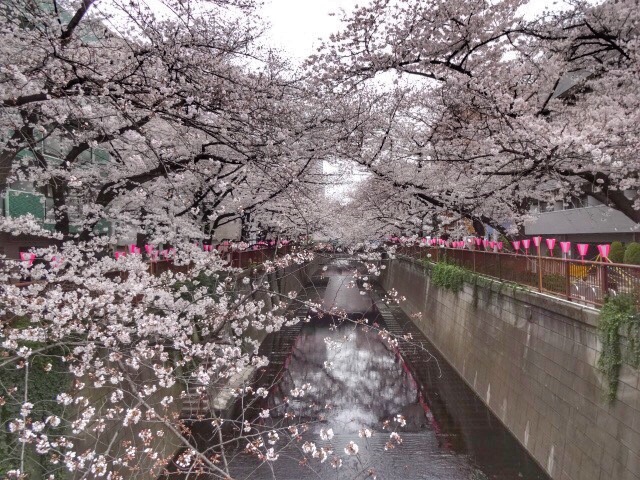 The Meguro river is one of the best place to see beautiful cherry blossoms in Tokyo. 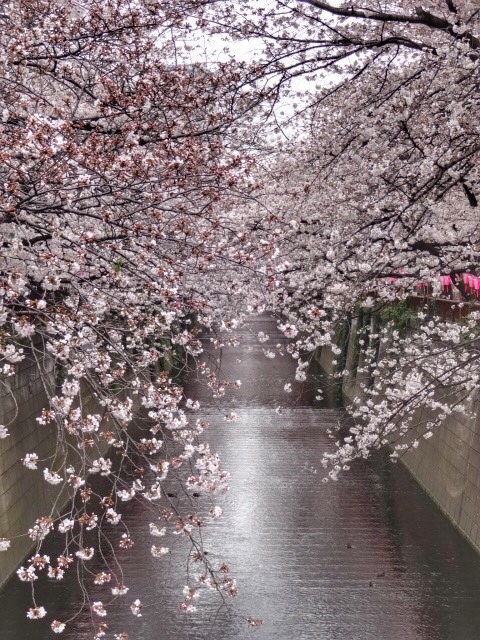 Around 800 cherry trees line a four kilometer Meguro river. 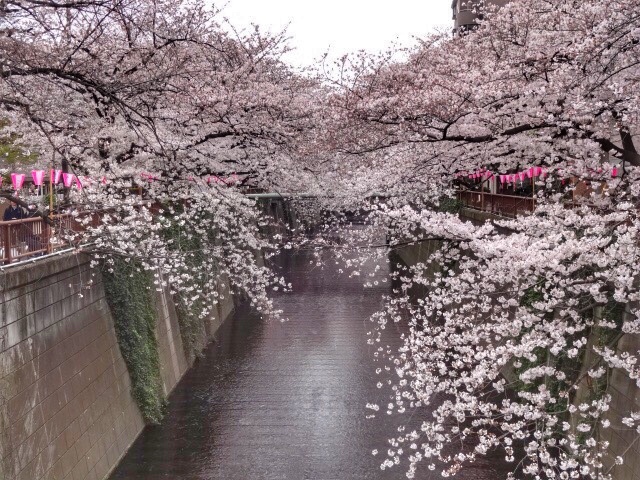 Most of the are Somei Yoshino cherry trees. 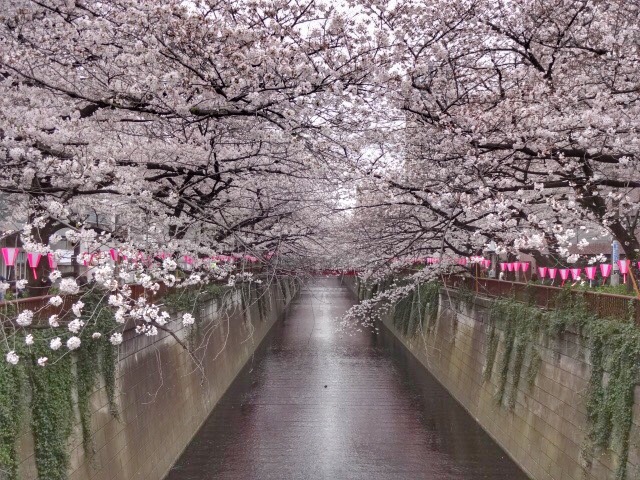 It's so nice to walk under the pink tunnel. 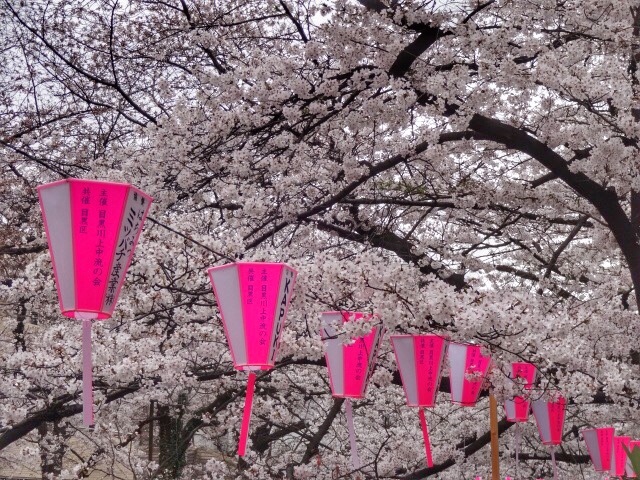 The food vendors and restaurants are serving some foods and drinks for many people who enjoy hanami. 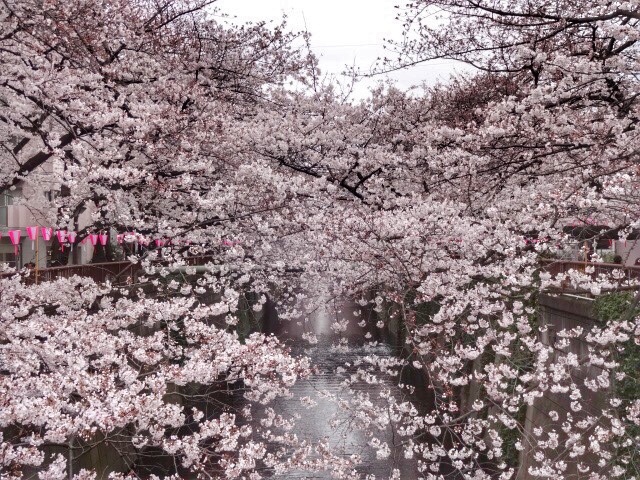 In this season of cherry blossoms, cold weather has returned. 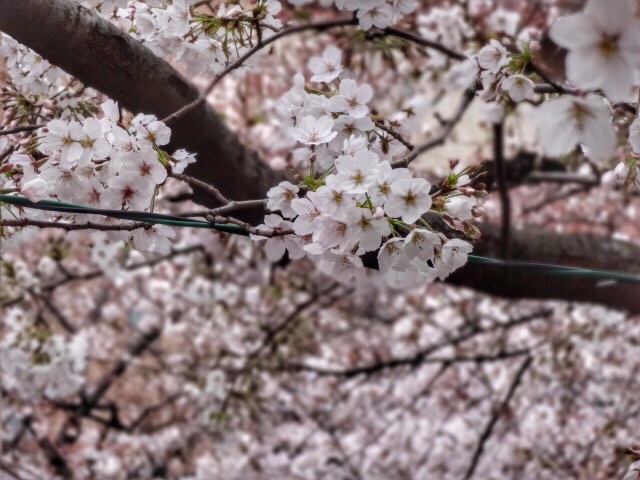 It's good to bite some hot foods to make you warm. 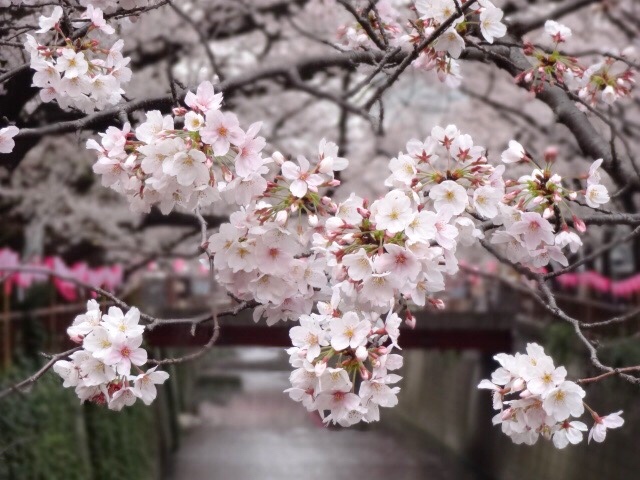 You can have a great experience hanami in Tokyo.